You’ve seen a bit of this project on our Facebook page. 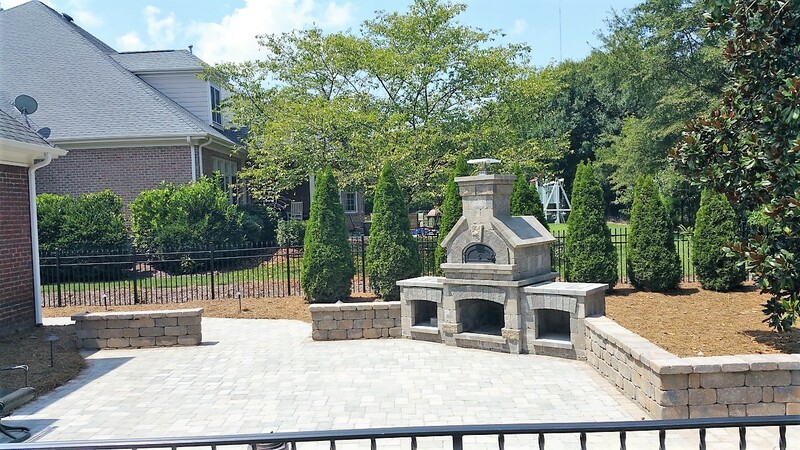 It is a patio ringed all around by a 3′ Colonial Castle Manor Grana Sitting Wall with a built in Brookstone Slate Brighton Series Fireplace, Brick Oven, and two matching wood boxes. We also added supplemental space to the patio framing a Colonial Weston Stone Fire Pit, and an Ardennes Grey and Dublin Fossil Beige walkway extending around the house to the matching paver inset in the driveway. Here are the photos from start to finish of this beautiful property. Click on any photo to get a closer look.